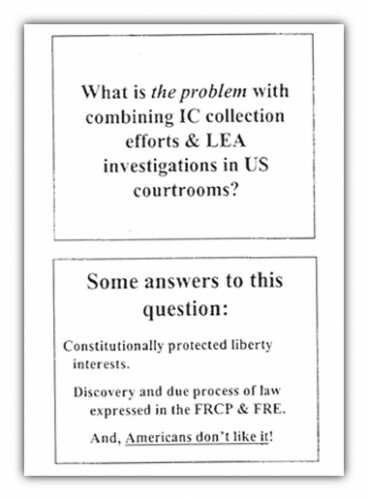 New disclosures now allow us to see online the DEA training manuals with which Drug Enforcement Administration agents are taught to coach local police departments across the country how to lie about their chains of evidence and sources, how to willfully violate the law and cover their tracks in thousands or tens of thousands of cases every year in order to fill the cells of the US prison state with drug defendants. These materials depict an amoral, out of control police regime respecting no Constitution and no laws. 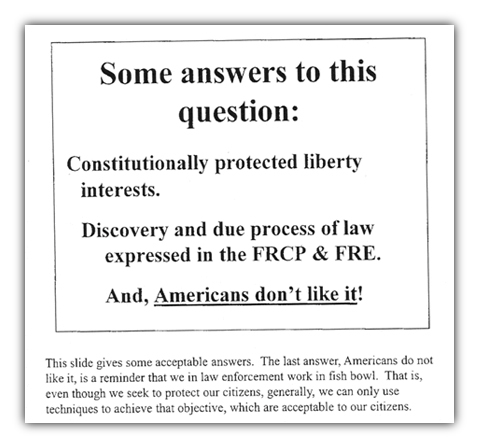 DEA agents are told the evidence is unconstitutionally obtained, and that this has to be concealed from prosecutors, judges and above all from the public, some of which is still under the quaint notion that there are laws even cops and prosecutors must obey. 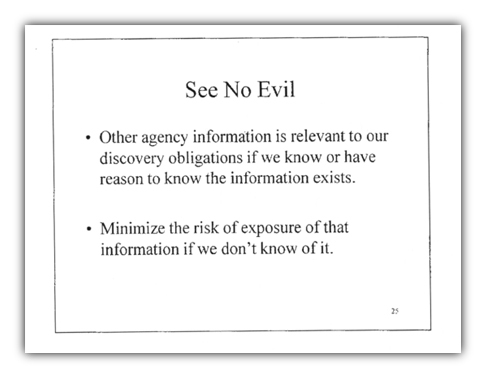 The manuals cynically spell out how DEA agents should coach local police departments to use what they know is illegally obtained information in order to construct false chains of evidence. 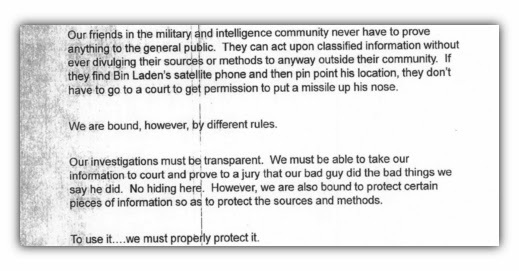 The bulk of the release comprises eight versions of a training module, “Handling Sensitive Information.” Per lesson cover sheets, the module was created in 2007 for inclusion in entry-level analyst training programs, as well as for workshops at DEA field offices. The most recent dated revision in the release is from May 2012. 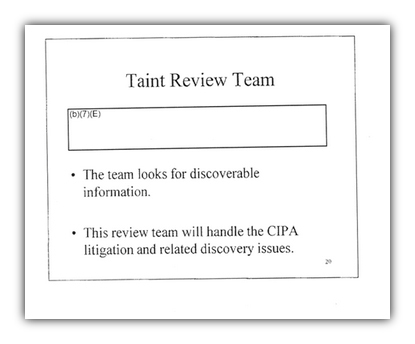 When the court is made aware of classified evidence, a squad of prosecutors called the Taint Review Team will consult with the judge to determine which evidence must be turned over to the defense.